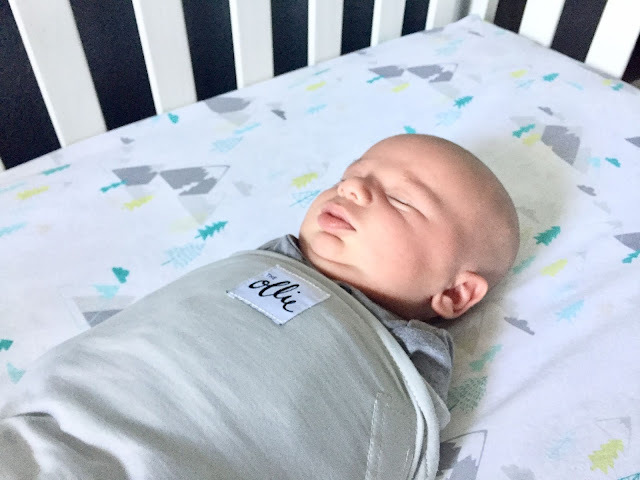 Today I'll be sharing two more of my baby must haves with all of you: The Ollie World Swaddle and the Binxy Baby Shopping Cart Hammock! 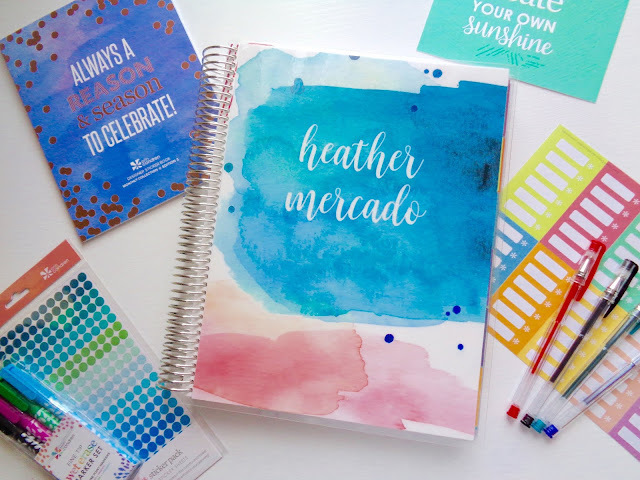 These products have been a game changer for me, and I'm so excited to tell you more about them! Full disclosure: I received these items complimentary from The Ollie World and Binxy Baby for review purposes. I am so grateful I was given the opportunity to try these products out. I was not familiar with them previously, and I really didn't know what I was missing out on! All opinions are my own. Let's start with The Ollie World Swaddle! It's been a whirlwind of a month adjusting to life with two little ones. 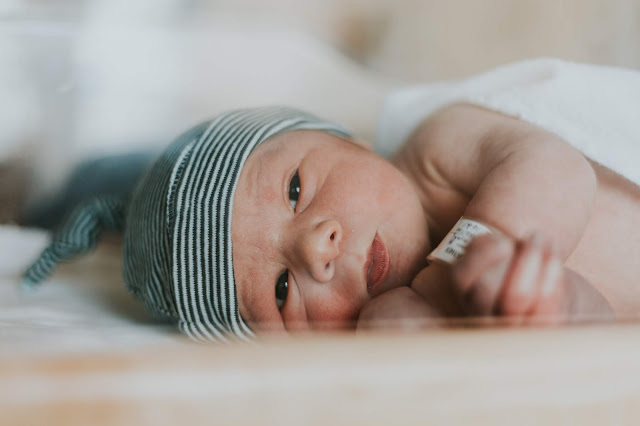 There have been ups and downs as I figured out balancing a tiny baby with a three year old, but overall I am feeling like one very blessed Mama, and I am so in love with these small humans I grew. 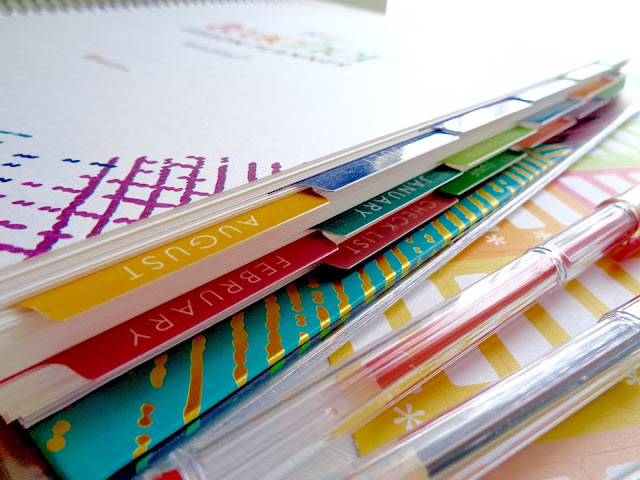 In the upcoming couple weeks I'll be sharing a few of my baby must haves here with you all. I've been testing out a few products that were new to me, and I'm so happy that I can now say they are must haves for me with my little guy. 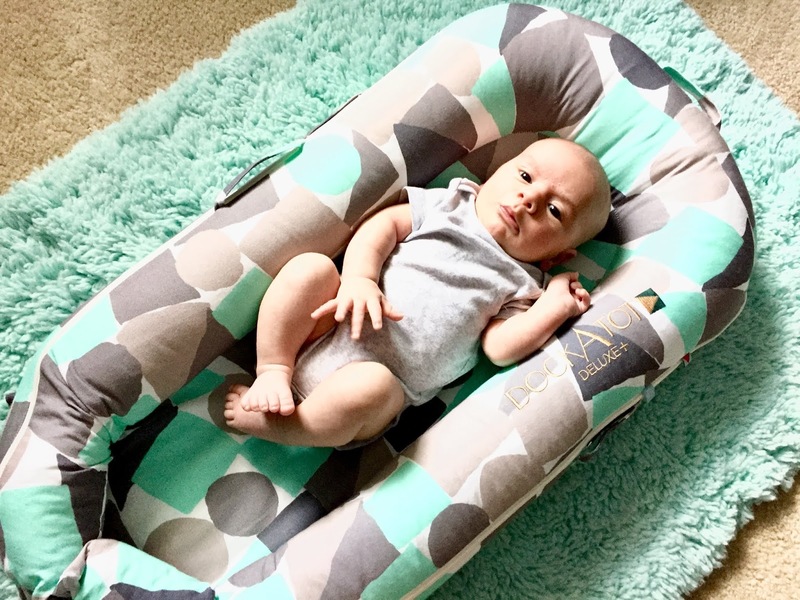 Today I'll be reviewing the first of my baby must haves: the DockATot Deluxe! 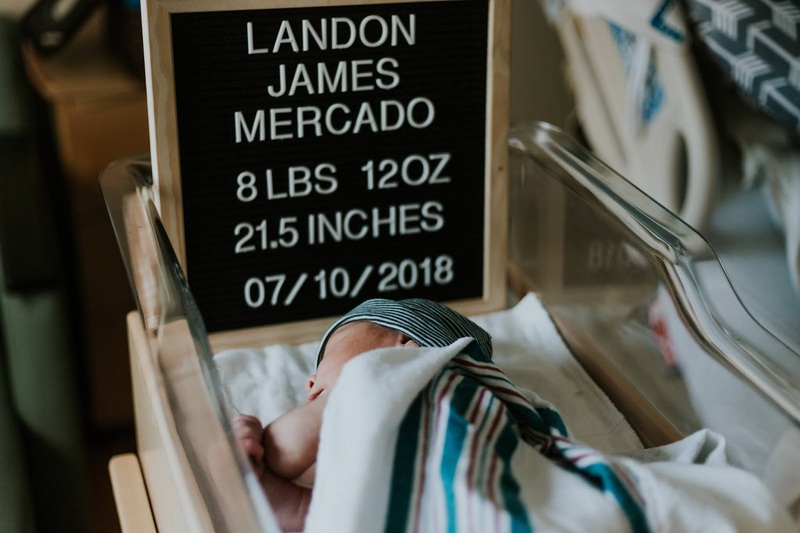 It's officially July, which means not only is it finally the month I get to meet this baby (yay! ), but it's also SCORCHING outside here in Texas. 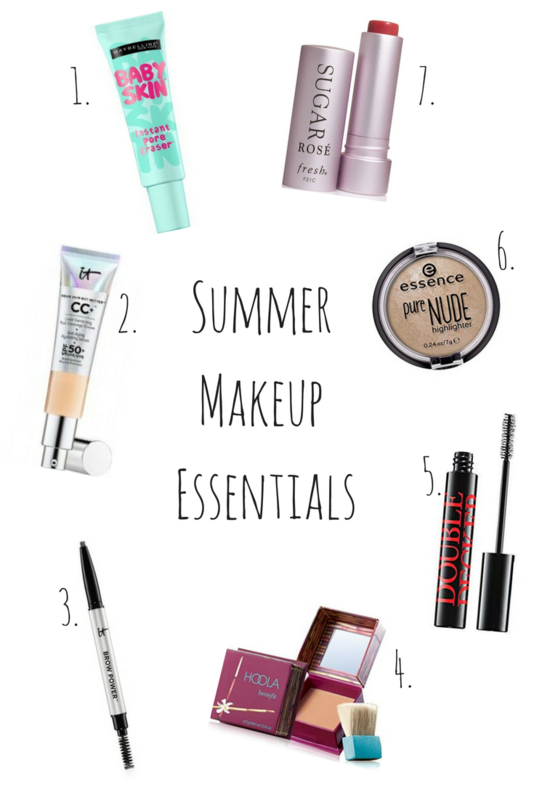 Seeing as how it's been 9348203948 years since I've done a beauty post on here, I figured I would share my summer makeup essentials/recommendations with all of you! 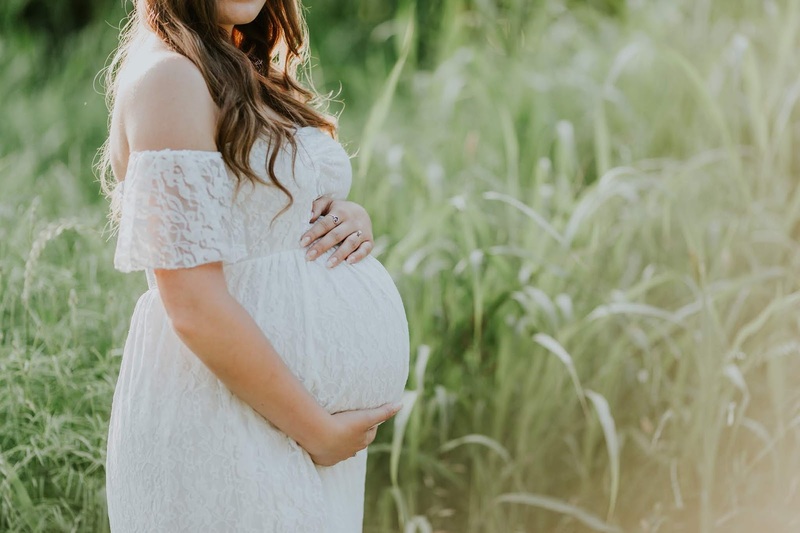 Mama life has been all consuming, and while I've loved sharing that part of my life with all of you, I originally started this blog to share my beauty recommendations, so I figured it was about time for a new beauty post. So, let's jump into my personal summer makeup essentials and recommendations! These are a few products I love for an everyday summer makeup look that I feel comfortable wearing during these hot days without worrying about anything feeling too heavy or it all sliding off my face. Hope y'all enjoy! 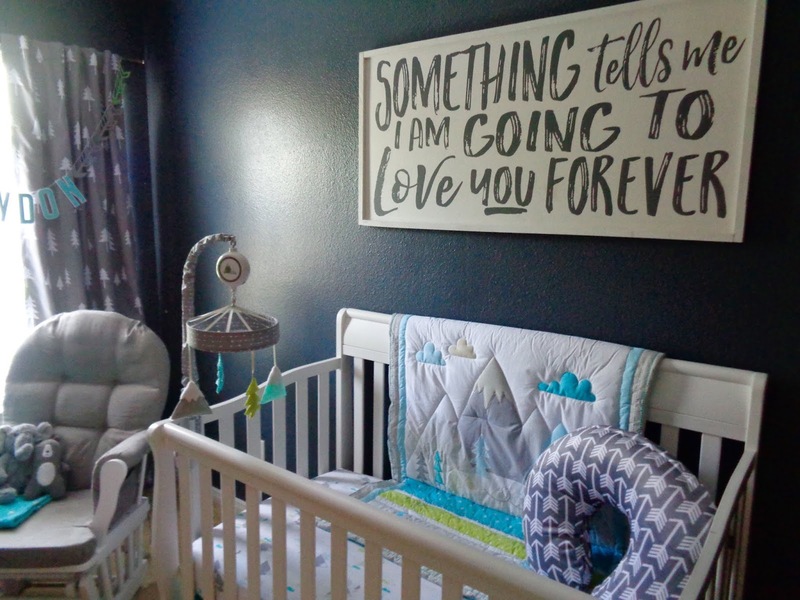 I am SO excited to finally share the finished nursery with all of you today! This has been a lengthy process of getting it all together, and I can't tell you how good it feels to be able to say that it's DONE. I'm sure I'll find little things to add here or there over time, but I finally feel prepared for this little dude to make his arrival. At 38 weeks pregnant as of yesterday, (hopefully less than TWO WEEKS LEFT!) it's about time. 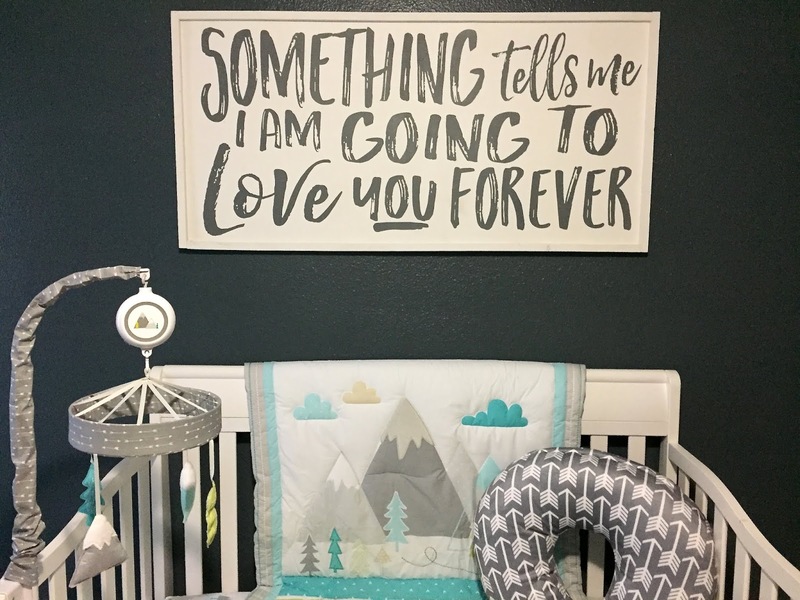 I fell in love with the oh-so-trendy adventure/outdoor themed nurseries a while back thanks to Pinterest, and after discovering the "Adventure Awaits" Cloud Island line at Target, I knew that it was exactly what I was looking for. 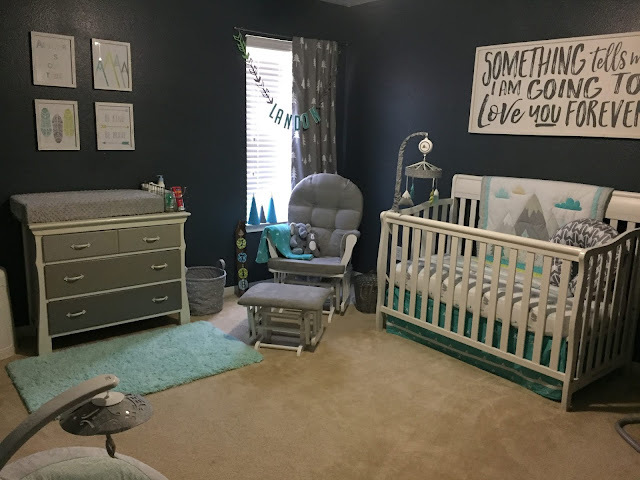 I absolutely love the colors, and since the walls in his nursery were already a very dark grey, I knew they would stand out beautifully. I am obsessed with the way everything turned out, and I hope you enjoy getting a glimpse into our little guy's room. I will link where we got things as much as I can at the bottom of this post if you are interested. Let's jump into it!